From June 13th until August 2nd, we want you to share with us your real moments in the kitchen. Whether that be your splattered spaghetti, your chaotic counters or your disarray of dishes, we want to see how you cook for real life. Take a photo of your real moment and post it on Instagram or on Facebook using the hashtag #TSRealMess. Every 10 days during the contest period, a winner will be chosen randomly. The lucky winners will receive an authentic Italian themed gift basket, courtesy of Tecnogas SUPERIORE. 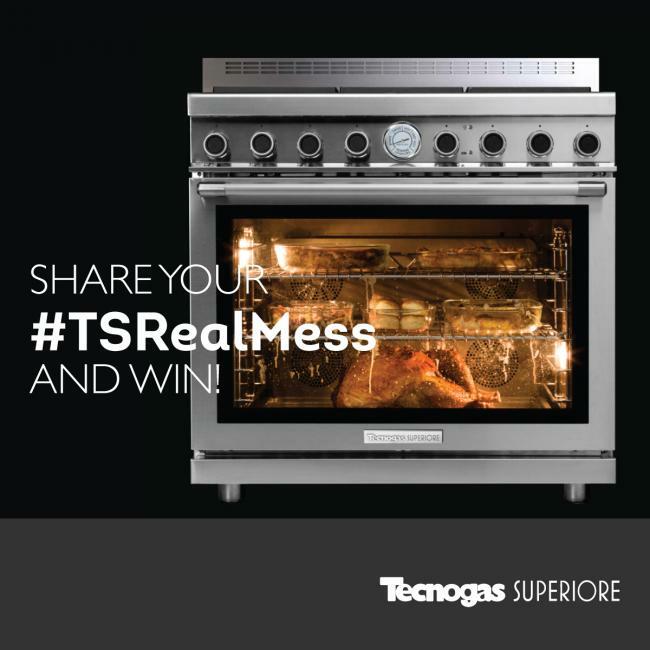 All the winning entries will be featured on the Tecnogas SUPERIORE Facebook and Instagram pages. So put on your aprons, turn on your ranges, clear your countertops and get cooking! Buona Fortuna! Full contest details available on Facebook.